Lightweight foundation makeup works for day or night, but is especially complementary in bright sunlight. Women who prefer a natural makeup look will probably love lightweight foundation. As with any cosmetic, this makeup should enhance your natural beauty, not camouflage it. A light base allows your skin to show through, including any personal trademarks like freckles and moles. Lightweight foundation shouldn't feel heavy on your skin. It shouldn't cake or mask your complexion. While you'll likely look fantastic over a candlelit dinner in a dim restaurant, heavy makeup can look harsh and fake in natural sunlight. Whether you're planning a beach wedding or you're attending a garden party and want to even out your complexion while still looking naturally beautiful, lightweight foundation makeup can give you sheer coverage without being overdone. You'll find lightweight foundation in just about any cosmetics line. Today's woman wants to look her best without feeling or looking like she's wearing a ton of makeup. Shop your department store, online cosmetics site or drugstore for a variety of choices, but all light-as-air bases should share these qualities. Light texture: These foundations will typically be in liquid, spray or whipped mousse form. It spreads easily and in the best case scenarios, will feel like you're not wearing it. You may also want to shop for tinted moisturizers - your skin will be moisturized and evened out at the same time. Sheer: Because light bases allow your skin to shine through, women who want to hide blemishes may not want to use them. SPF protection: Just because a foundation is sheer doesn't mean it can't benefit your skin. Many cosmetic companies believe in providing women with multi-tasking products. The more jobs your makeup performs, the less you have to apply to your face. Prescriptives and Benefit are just two brands which offer SPF protection in lightweight foundations which protect your skin as they beautify it. For the best foundation look, try these tips when applying your light base. Use a damp sponge: Feel free to use clean fingers to put foundation on, but use a barely damp makeup sponge to give your base an even more sheer look. Apply only where needed: If your skin is already in great shape, but you want to hide slight undereye circles or a light blemish, use your base as a concealer. 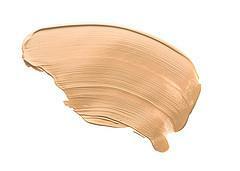 A lightweight foundation is much lighter than your typical concealer, so it'll appear to be barely there. Follow with translucent powder: Don't ruin your natural makeup look with heavy powder. Translucent powder is a good topper to your light base. It will take any shine away without masking your complexion. Although lightweight foundation is perfect for wearing outdoors during the day, it works anytime, particularly for women who don't want to look like they're wearing a face full of makeup. Browse your favorite cosmetics line to see if it carries what you're looking for - with so many types available, any woman should have no trouble finding a foundation that lets her natural beauty shine through.